Sundays at The Grow! 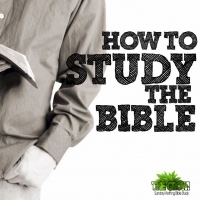 How To Study The Bible! Have you wondered how to get more out of your study of God's Word? Come out at 9:45 to begin your journey towards better study methods and habits! Biblical hermeneutics (How To Study The Bible) is the study of the principles, processes, and methodologies of reading, interpreting, and applying the text of the Bible.